Feeling brave? 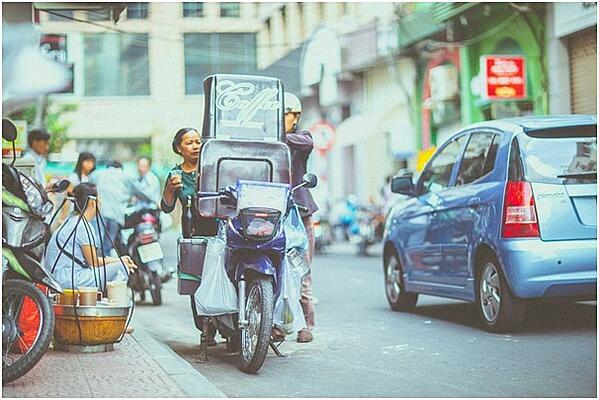 From Vietnam to India, Brazil to the UK, you can, in certain areas, hail a motorcycle taxi. Yes, you ride on the back of the bike, up close and personal to your driver. Otherwise known as a cart bike, this is a licensed form of public transport in countries including Cambodia, Nigeria, Indonesia, Sweden, and Cameroon. In Bangkok, for example, motorcycle taxi drivers wear orange vests to identify themselves as such. The Italian island of Ischia lies off the coast of Naples. 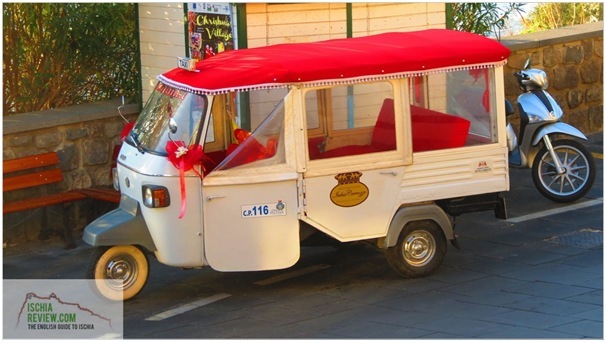 Ischia micro-taxis carry tourists around the island. 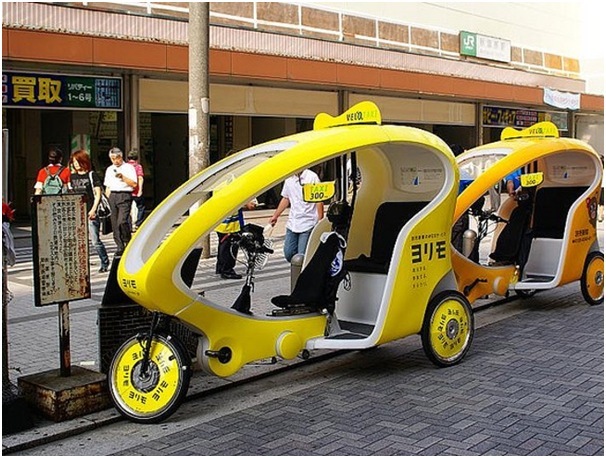 These open-sided taxis are adapted from Ape three-wheeler farm vehicles, which are the “big brother” of the Vespa scooter. Carrying the driver plus up to four passengers, they are decorative and bright. Sightseeing tours pick up at local hotels and last for almost three hours with plenty of stops. Gift packs are even included! If money is no issue for you, and you are rich (but not so rich as to own your own helicopter), then Manhattan’s Gotham Air is for you. It’s a helicopter taxi service operating from Manhattan to either JFK or Newark airports. Fares are in the vicinity of USD $219 per passenger. A Shikara is a wooden boat found on lakes in and around Kashmir, and the Shikara taxi is a common sight. The driver paddles at the rear of the boat, carrying up to six passengers. These boats are a cultural icon of the region, and while many are used as taxis, some are used for fishing and even as homes for poorer people. Shikaras are made from deodar, a type of wood that won’t decompose or rot in water, and are painted in bright colours, covered with a canopy, and otherwise embellished. Many are driven by two boatmen and even have cushions for comfort. Not unlike ingogo taxi booking app in Australia’s capital cities, Oman’s Muscat, in the Middle East, has a new taxi booking app called OTaxi. The first of its kind in the region, it aims to limit inconvenience for passengers trying to hail cabs in the city or finding themselves stranded. Additionally, Muscat is making taxis brand ambassadors for the city, painting them unique and recognisable colours, launching alongside the app-based booking system. The world is a veritable cornucopia of unique and weird taxis – there are some places where your taxi might even be a camel! 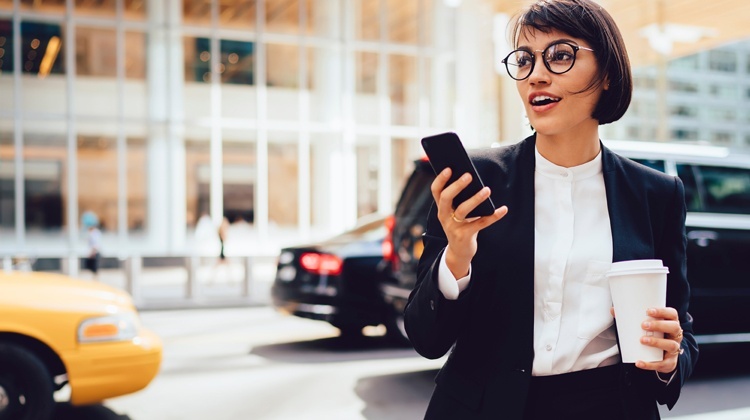 Here in Australia’s capital cities, comfortable sedans are the norm, but you can be on the cutting edge of the latest in innovation when you book your taxi in Sydney or elsewhere with ingogo. Discover ingogo for yourself today!